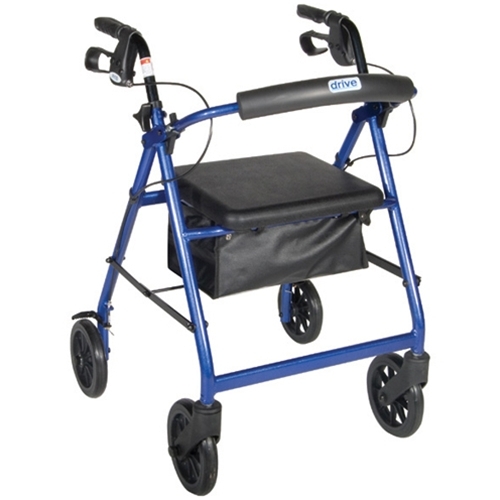 McKesson Aluminum Rollator from HealthyKin.com uses a removable, hinged, padded backrest that can be folded up or down as necessary. It also includes a padded seat with zippered pouch under seat. I am 6'2" and 220 lbs and this walker works great. I was concerned about how well the 6" wheels v 8" on my previous one would work. Much to my surprise, it actually rolls through the uneven yard easier! This product exceeded my expectations! Exactly what I needed. I purchased to replace one that broken in an accident. Made my dad smile. Well worth it and the price was great! 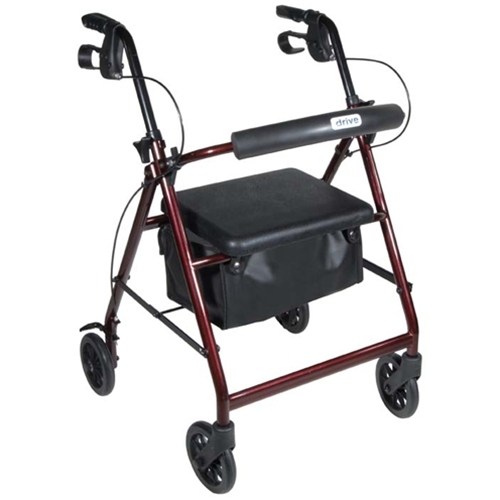 I bought this one for my overly independent 96 year old aunt who just got over two broken arms and a kneecap. I have seen photos of it and I know even though she is being stubborn about it now, she will get good use out of it. I had one for years and couldn't go anywhere without it, cook or do dishes. My cousin is leaving to return home this week and she cooks everyday and won't let a cup sit in her sink so I know and have wonderful confidence that this was the best gift I could ever get her. 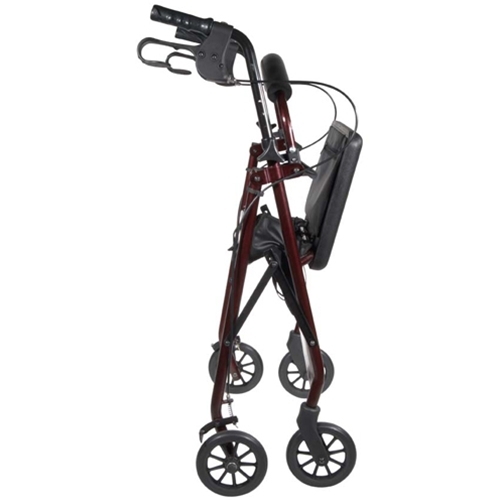 This product is superior to my other walker. Great price too. Very light and useful. Easy rolling and stable. I gave this as a gift to an ungrateful friend. I no longer speak to her. I myself own the 'Flight' model ($195) which is fantastic.